So guess what? Today is my blogiversary! That's right, the very first post here at Angieville went up on Halloween of 2005. I'm even posting this at about the same time in the evening as that one was. I can't believe it, really. Things have changed a lot, including focus, layout, posting frequency, and (best of all) all of you who stop in to say hi and share your thoughts. I love this blog. I honestly get sad imagining my life without it and I hope I can keep it going for as long as we're all game. But this does seem to call for a celebration, does it not? So, in honor of the occasion, I'm giving away an anniversary mega-pack to one lucky commenter. The pack will include one brand new, signed paperback copy of Suite Scarlett by Maureen Johnson, one brand new paperback copy of Going Too Far by Jennifer Echols, one brand new hardback copy of Catching Fire by Suzanne Collins with accompanying limited edition T-shirt and mockingjay pin, one brand new paperback copy of Bright Star: the Love Letters and Poems of John Keats to Fanny Brawne by John Keats, and one brand new copy of the Bright Star soundtrack. That's four books and one CD to a randomly selected commenter! Now, all you need to do to enter is comment and share your favorite (or funniest) anniversary memory. This can be absolutely any kind of anniversary: wedding, birthday, blog, death, or other significant event! One extra entry if you become a follower, two for current followers. Unfortunately, given the state of the Angieville coffers, this giveaway is open to U.S. residents only. It will be open for a week and will close at midnight on Saturday, November 7th. I'll announce the winner the next day. Please make sure to leave me a way to contact you. My favorite anniversary memory would have to be for my birthday last year. Me, my Sister, and my best friend went to a movie and to dinner. It was pouring rain most of the night, but since it was my birthday I decided to dress up a little. Well the restaurant had stone floors and my heels didn't like that very much. So after walking in, I slid and almost fell. But in catching myself, I ended up flashing my undies to one of the waitresses. It's a lot funnier now than it was then, but either way it was definitely memorable. my favorite anniversary memory was my first anniversary with my boyfriend, running to the grocery store just as it closed so he could buy me the "right" kind of flowers. :) thanks for the giveawy! i think my favorite anniversary moment is my 16th birthday. My family decided to throw me a surprise party - even though i tried to plan my own party! they pulled it off and it led to one of my favorite nights with all of my favorite people. It was awesome sauce. My fave anniversary was my 21st Bday. I was sooo sick but my parents took me out to my favorite restaurant anyway. I couldn't taste a thing but it felt good to legally order an alcoholic beverage. When my hubby and I were dating, for our 6 month anniversary I learned how to microwave fortune cookies to soften them, open them, switch the fortunes inside, and then remicrowave them back into shape. It was priceless watching him open three or four before catching on that they were rigged. My favorite anniversary was when my hubby and I got a complimentary night at a bed and breakfast type inn. We used it just after Christmas, but we counted it as a wedding anniversary even though ours is in June. Ha ha, it was still awesome. I want to do that again sometime. yay for your blogversary! That's so awesome :) ummmm funniest birthday I think was one year when my friends were "kidnapping" me for my birthday breakfast, they got the date wrong--and they forgot to tell my parents. My next door neighbor and best friend had a spare key to our house in case we lost ours or one of us kids came home and the door was locked. So in walk my friends with blind fold and nylon rope in hand to apprehend, and off they went to my room. I am the heaviest sleeper alive. They blind folded me, and tied my arms and still I was asleep. frustrated and running out of ideas one of my friends simply shoved me off the bed (yes I promise these people are my friends) to where I landed on the floor with a loud thud. My parents, awakened by the commotion and loud *thud* (I personally like to think I didn't make that loud of a thud) woke up and called the police, I was still in a zombie state but movable and they were able to guide me down the stairs, where they met my father armed with a high heeled shoe--yes I am serious. He said it was the closest thing he could find and that mom had handed it to him. My best friend yelped as another friend felt for a light so that we could all see. It turned out we didn't need the extra light because soon there were red, blue, and white lights that came blazing through the living room window announcing the arrival of the police. Everything was solved after that and my best friend apologized for forgetting to tell my parents about the "kidnapping" and for getting the date wrong. *I think the date thing is what cracks me up the most, all that and on the wrong day! * Needless to say they've never forgotten the date of my birthday again. +2 I'm a current follower, and yes keep the blog going for a LONG time, we're all game! Happy blogiversary to you! We started blogging around the same time. Don't worry about entering me into the contest as I am not in the US! Good prize though! My funniest anniversary is the first anniversary of the date my mom & I moved into our house. We had gone through a lot prior to buying the house. The day we officially moved in, everything that could go wrong did go wrong! The water had to be cut off for a major plumbing repair, the electricity was cut off by mistake and not turned on until the next day, and the phone stopped working. The following day we had repairmen at our house all day long. On our "first anniversary" of moving into the house, an electrical storm shut down the phone and the electricity. We had to use candles, which was fine until we saw the outline of someone moving around outside the house. We blew out the candles so he couldn't see exactly where we were! He moved on, but we stayed in the dark. Sometime in the early morning, we woke up with all the lights on, the TV going and the phone ringing! I just wanted to wish you a Happy Blogiversary! my favorite anniversary was Christmas 2006 because I got to see my dad who I hadn't seen in almost 10 years. I was very happy! One day I remember very very well: the 4th of July, 2003. My son and daughter were going to spend the weekend at their father's and then fly to Mexico on the 6th to spend the summer with my family. My son, who was then a mere ten days shy of 15, woke me up around 7AM to say he was in pain--and had been since before midnight, but didn't feel he should wake me up, as I worked so hard. Already long story short: by 8AM he was in the hospital, and in surgery for appendectomy just before 1PM. Continuing with the lighting speed of the day, he was up and walking by 6PM and released at 7PM (it was one of those surgeries with two tiny incisions, no big wound). And on his birthday, down in Mexico, he was going down one of the tallest and almost vertical water slides at a water park down in Mexico. Ah to be 15 and bounce back like that, eh? Happy blogiversary Angie! Your blog is one of the first I check every time I'm online and you're certainly one of the main reasons my TBR pile has been growing by leaps and bounds. PS Don't enter me but wow, great prizes! 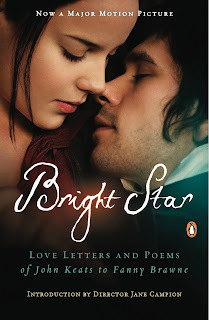 Happy anniversary Angie - I am happy you are still writing fantastic review as well! ;) and BTW - that is a very nice, very large pile you are giving away. I'm thinking lucky thoughts. A favorite anniversary for me has to be my first mother's day - it was my first with the little boy and it also happened to land on the hubby's b-day. It was perfect: we both got to open presents and the hubby had gotten doughnuts the night before so no one had to cook. Best of all, I had my two favorite boys with me to share it with. Happy Blogiversary, Angie! I didn't realize that our blogs were so close in age (I started mine in mid-December of 2005). It's been great getting to know you. Wow, cool giveaway. I haven't really ever commented before, but I'd like to say that I love your blog and you have a great taste in books. I've read some truly awesome books because of you. Happy blog-anniversary! Happy Blogiversay, Angie!! Wow. What an impressive anniversary it is, too... FOUR years! Congratulations! One of my favorite anniversary (wedding) memories is when we were too poor to go anywhere or do much of anything, I "transformed" our house into a bed and breakfast with signs and other silly little things. It was a lot of fun. We had a funny (sad to me at the time) wedding anniversary last year. We had a second baby and was trying to adjust to life with two kids. My parents watched the boys overnight and we rented a cute little cabin for the night. We planned such a romatic evening trying to undo the fog that a new baby brings. We had take out from our favorite resturant, candles, flowers, naughty things to play with *blush*. We got to the cabin laid down on the bed to see how comfy it was and we both fell alseep. We didn't wake up till the next morning and we had to leave. Looking back it was funny, but at the time I was so upset. My husband was happy he got a full nights sleep. Happy Blog Birthday! And thanks for the great contest! I can't think of a single funny anniversary story...sigh. They have all passed, uneventfully, with sushi and champaign (sp?). I already follow you through google reader, for what that is worth...It's easier that way to sneek peaks at blogs when I'm not technically supposed to be. 2005? That's a long time! Happy blogaversary! I guess the anniversary that comes to mind is my last one, which was our one year of married life one. The both of us were feeling lazy about gift giving and said we'd just go to a dinner and a movie, but when the day came it turns out we both got each other a card. I bought one which was really an encouragement card (it said Way to Go! You can do it!) for being married to me a WHOLE YEAR, and his was printer paper folded in half with (badly) drawn stick figures on it. We both had a laugh at each other's cards, and it all worked out. First anniversary is paper. Hrm... I think the funniest anniversery ive had was my birthday last year (anniversery of my birth haha). First all my friends went to the Huntington mall. While we were there we bought like 20 cans of silly string and just ran through the mall spraying it on people's back when they walked by. they usally didnt notice but my friend John got cocky and tried to write his name on someones back but they turned around and we got kicked out of the mall. thn we went to wall mart and walked up to a bunch of the employees and asked akward questions like "where are the tampons" and "how big is ur biggest condom" ohh it was funny. then we went to the movies nd used all the extra silly string there. Don't enter me - Just wanted to say Happy Blogoversary!!!!! Happy Blogiversary! That is quite the giveaway package! I'm in. =) My favorite anniversary was our 4th this last year. We decided to save money instead of going out, and we made a really nice dinner at home. We bought wine glasses and 3 expensives cheeses and had "wine" and cheese, which was just fun. =) Anyway, kind of simple, but it's a nice memory. Happy blogiversary! no need to enter me. Happy Blogiversary! I have just started discovering all the wonderful book blogs out there and have so enjoyed yours. One of my favorite anniversary-type memories is the first Christmas my now husband and I were dating. He likes giving gifts, and likes for it to be a total surprise with a bit of a production, but at the time I did not know this about him and would not have guessed. I was so surprised when I got home from work and he had set up a scavenger hunt for my Christmas gift (a beautiful bracelet). The first stop was the shower, in which a precious little sand-stuffed frog was holding the next clue. I was so taken aback and touched by the whole thing. The little frog still sits on my dresser. I've been a follower for about a week. :) This is a fantastic contest! Congratulations, Angie! And OH MY GOSH this is an excellent giveaway. Congratulations on your anniversary! One of my favorite anniversaries was my birthday when I turned 12. I had a group of friends over and we all divided into teams of two to make different batches of Christmas cookies (my birthday is in December, near Christmas). At the end we all ate the various kinds of cookies and they got to take home extras. An excellent idea on my mom's part, definitely a birthday to remember! My favorite anniversary . . . a friend's actually, her birthday. We kidnapped her and took her to breakfast, then spent the rest of the day around the city. That night we went back to her house and stuffed ourselves with fondue. For my first wedding anniversary, my husband and I got to go to Hawaii all expenses paid by his work. They gave the entire company a trip to Hawaii to celebrate their amazing success. And it just happened to turn out we got to go on our first anniversary. Cool, yes? My favorite memory is from my 12th birthday. We were packing up my grandparents house so they could move out of the house they have lived in since they have been married. We found so many treasures that I got first pick since it was my birthday. My Poppop gave me his Navy uniform from world war II. It was a very special gift. My favorite anniversary memory would have to be my last huge birthday party as a child. I was in the second grade or so and my mom went all out. She invited absolutely everyone, decorated the house, got a ton of my favorite foods, and simply made it amazing. I had a great time running around with my friends and playing all day. After that I simply stopped having large birthday parties so it remains a special memory to me. My favorite anniversary memory is my 1 year with my boyfriend. We went out to eat at Olive Garden and then went to the book store and Best Buy. We're geeks :) It was perfect! My favorite anniversary memory is my 2 year anniversary with my boyfriend. We spent the weekend in NYC. It was in the summer and we walked all over. We went to Central Park, NYC Library, found a great bakery and restaurant, went to see Wicked, and the hotel was fabulous. It was decorated like a library, it was beautiful. It was the best weekend I had. Hmm. This is a hard question. I guess I'd have to say that my favorite birthday was 2 years ago when I got to go see Wicked the musical when it came to my city. Just popping in to say happy blogiversary (a little late)! You got me wondering about my own blog's beginnings--October 2, 2006, as it turns out. My first review was Carol Shields's Dressing Up for the Carnival. I can't really think of anything right now. All I can think of is a few years ago when my mother took me to dinner for my birthday. While I was in the bathroom, she requested a dessert be delivered to me, but she told them "I don't want any singing or anything. Just the dessert. She wouldn't like the singing-- she'd be totally embarrassed!" And back around 1997 I treated myself to box seat at a Sonics game the year after they had made it to the finals. My favorite memory was my 11th birthday ( Im only 11) when me and my friends decided to play in the kid area at my party and tehere were all these 5 year olds and we were yelling and screaming and throwing balls (not in a mean way) It was really fun. My favorite anniversary was my 14th birthday because my parents surprised my with an ipod touch. I had no idea they were going to give it to me-who knew parents could be sneeky? I guess my favorite would be my one year wedding anni. My husband basically played my slave for a day. He did whatever I asked him, went where ever I wanted to go, etc. It was just a big me day. It was amazing. I'd love to enter!. My favorite anniversary memory is my first wedding anniversary and our trip to NYC, where we saw Wicked. Oh, happy day! I am thrilled to be able to enter this. 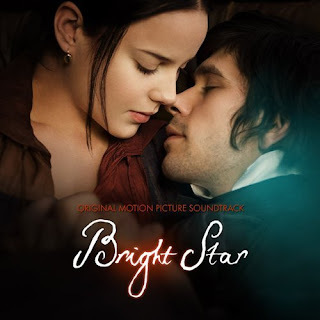 Bright Star is AMAZING!!! My favourite memory is definitely the birthday I was able to take myself to Paris. My first time in Paris, for my 24th birthday, and I reveled in the romance and the beauty and am working so hard to move there fully, so every morning will me a favourite morning!